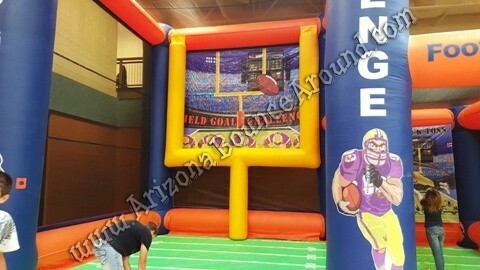 Our amazing Football goal post game is 20 feet tall and features an inflatable goal post inside complete with yard markers on the floor for an amazing football promotion or event. Be sure to scroll down for more photos of this awesome football game. 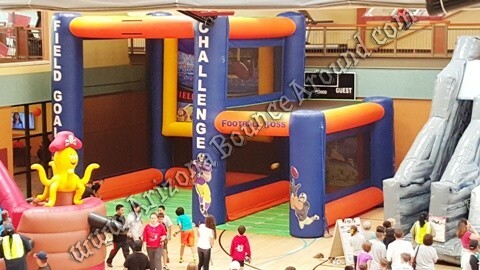 This inflatable kicking game also has a football throw game attached to handle large crowds of football fans making this a great combo game for special events. 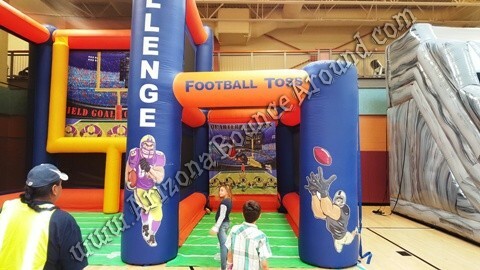 We also rent a stand alone Football throw game perfect for all ages including adults. 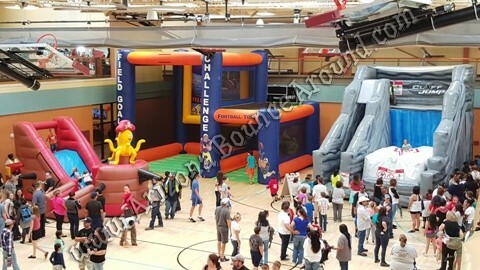 We have the best selection of sports game rentals in Colorado since 2002 and located close to all the sports stadiums including Denver, Colorado Springs, Aurora and Fort Collins. 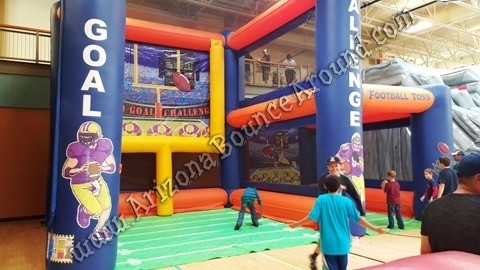 Be sure to check out our Sports themed bounce house and sports themed obstacle course to go with this inflatable goal post game.